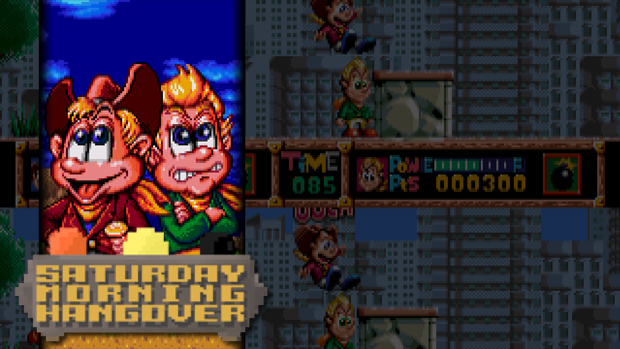 This week on Saturday Morning Hangover, I took Jordan and the lovely Katrina on a journey back to my childhood and shared with them one of my favorite competitive games ever, Dashin' Desperadoes for the Sega Genesis. It's a two-player, split-screen racing platformer where two cowboys compete for the affection of a perky blonde on a trip around the world. It's also mean-spirited, vicious fun, as you'll observe. As ever, we also played the week's Xbox Live indie demos, which had one very pleasant surprise in Marble Masters: The Pit, a physics-centered game that challenges players to be the last marble standing. And, of course, we took a visit to the Dafoeverse to see all the wonderful contributions Wii U users have made in honor of the star of Beyond: Two Worlds.